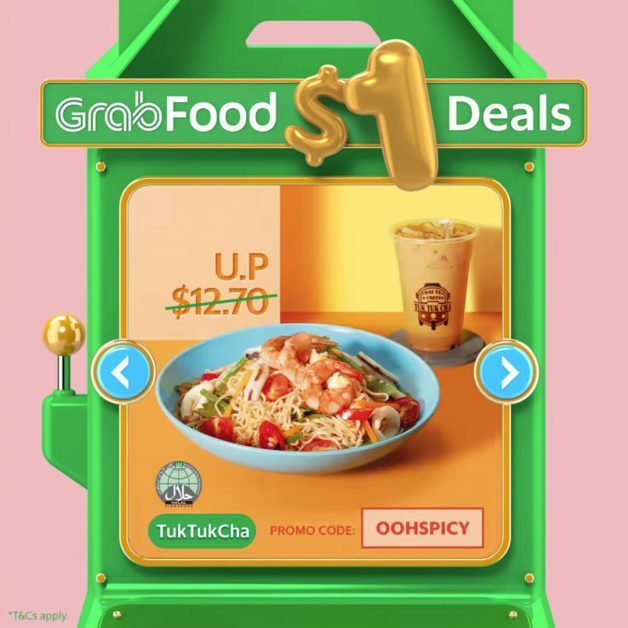 In case you didn’t know, GrabFood now rolls out new $1 Deals every two weeks. 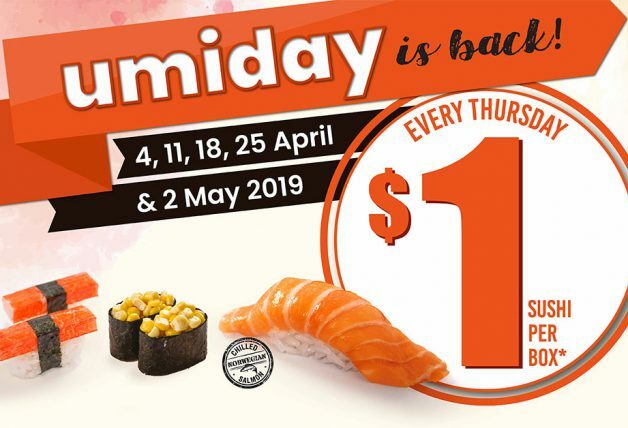 Here are the latest ones you can use from 2pm onwards daily starting today till the end of the month 18 – 31 March. Simply enter promo codes of your choice below to enjoy them at just a dollar. 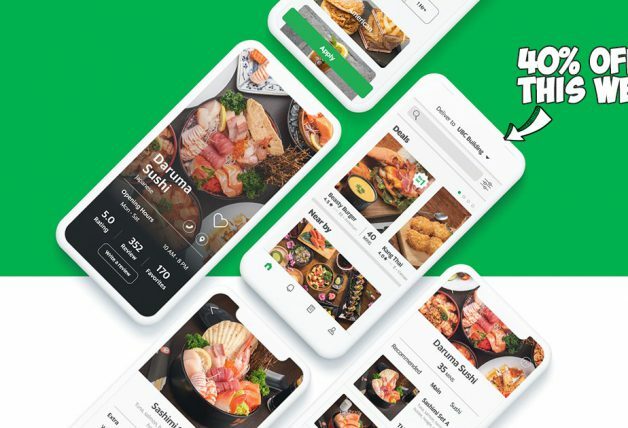 No minimum spending whatsoever and valid for both new and existing users. 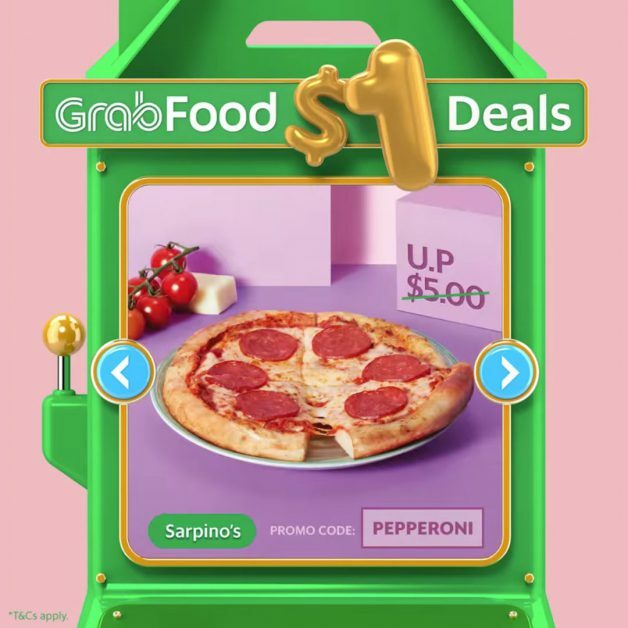 Do note your delivery address has to be located near the respective F&B places, otherwise the $1 deals won’t show up on the app. 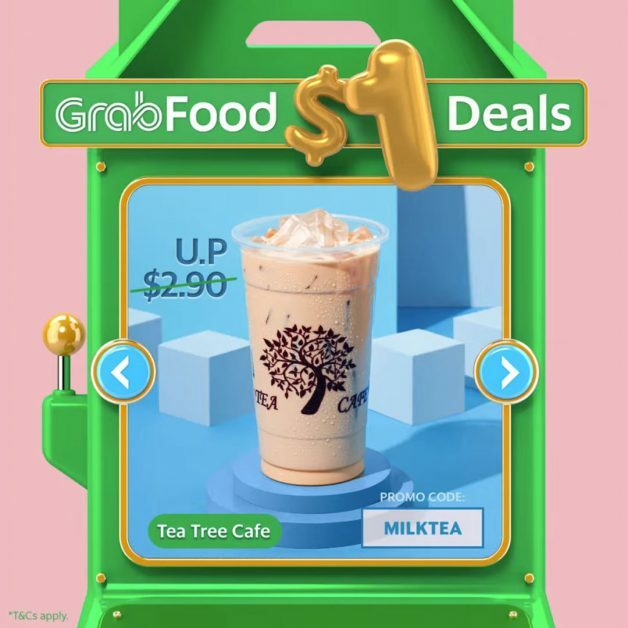 Limited redemptions daily, but you can try again the next day if it runs out since GrabFood says the quantities refresh daily. 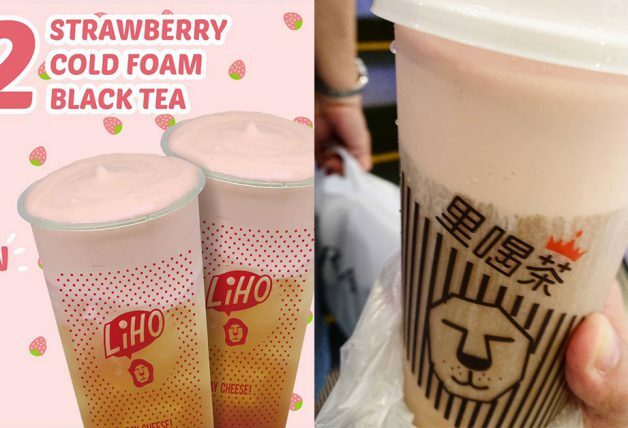 Thirsty for bubble tea? 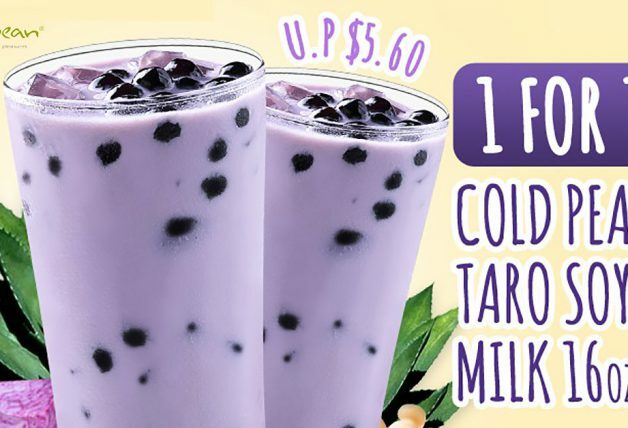 Enter promo code MILKTEA to redeem a $1 Milk Tea with free delivery included. 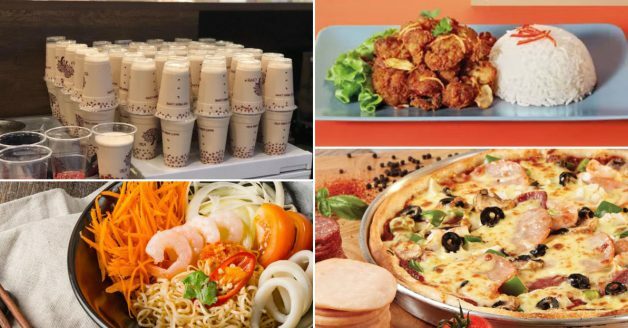 Feeling a little hungry instead? Enjoy a bowl of Tuk Tuk Cha Yammama Noodles along with their signature Thai Milk Tea all for just $1. Use promo code OOHSPICY to redeem. Some say pizzas are the best superfoods. Have a Pepperoni Pizza Personal Pan from Sarpino’s and pay only a dollar including delivery to your doorstep with promo code PEPPERONI. 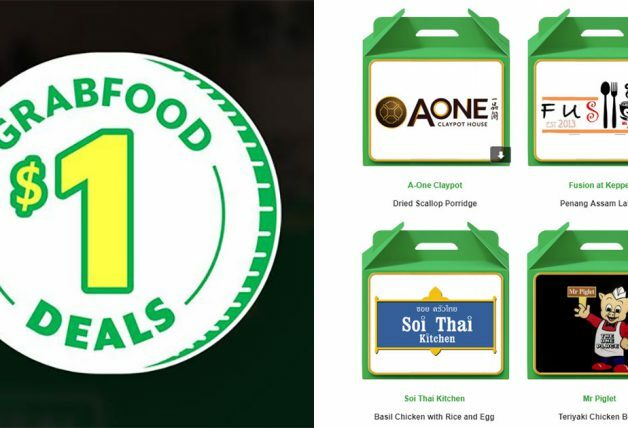 Last but not least, here’s one for Thai food lovers. 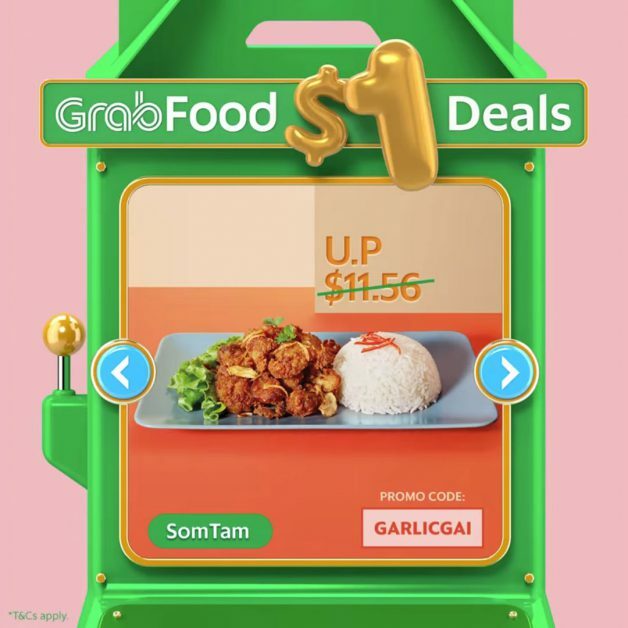 Enjoy a Deep Fried Garlic Chicken with Rice dish from Som Tam for only $1 when you enter promo code GARLICGAI.